I’m loving my days in the kitchen so much recently. Ever since I started doing the #Weekly_Canteen | #Cook_for_friends gig, I began exploring and revisiting some recipes and ideas that was long forgotten. Last week alone I tried a total of 15 recipes, among them a few I even did several times, as I wanted to perfect it to really meet My Orange Pot’s palate. 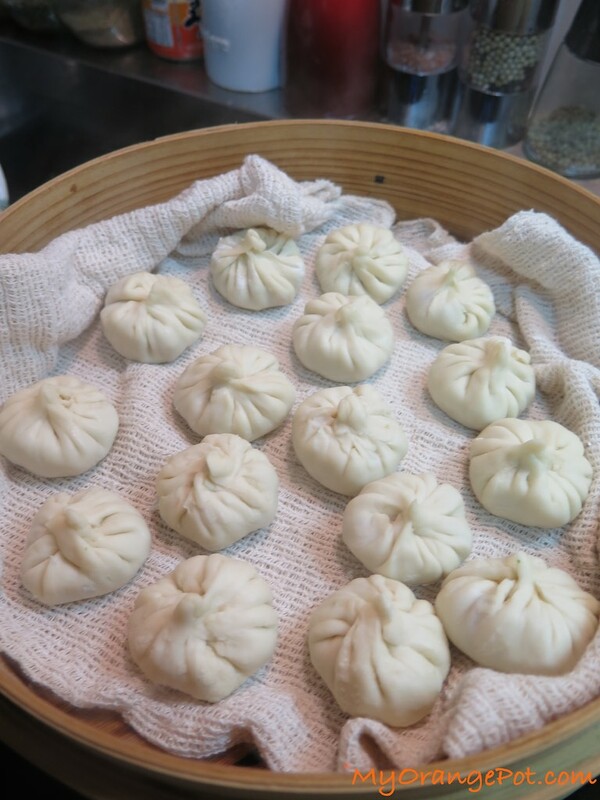 A few years back I visited a couple of friends who were living in Shanghai who introduced me to the curious local delicacy known as xiao long bao (often called “Shanghai Soup Dumplings”). It was very intriguing to look at something called “soup” dumpling, when it’s neither served with soup nor was is presented in a bowl of soup. 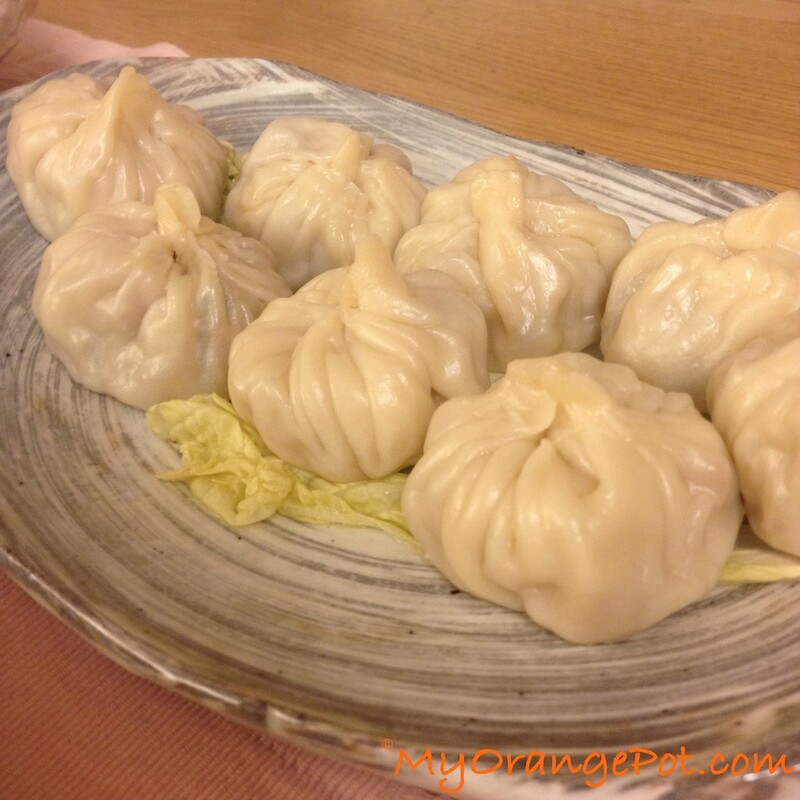 But my friend explains that it’s because the soup is INSIDE the dumpling itself. Say what? Further to this, my friend shows me that this is why it is recommended to eat a xiao long bao with a spoon, and not chopsticks so you could truly enjoy the entire soupy sensation in the parcel of soup goodness. I think China was so ahead of its time when xiao long bao was invented, as in the culinary world today, such technique is used heavily in molecular gastronomy. What you experience is beyond what you see. One example is when you have a glorious spoonful of cauliflower soup looking like three yellow marbles but it pops in your mouth the second they touch your tongue. As with many other foods that I came to love, I made it my business to learn how to make it. You know in case the apocalypse happen and I couldn’t buy them anymore. More over with xiao long bao, after doing further investigation, I learnt that it was made with pork heavy products. I don’t eat pork or any of its counter-parts, so the only way to repeat the experience is by making it yourself! Combine everything from stock down to ginger slices in a small saucepan. On medium heat, bring to a boil and cook uncovered for about 8-10 minutes. Watch it and turn off the heat if the soup has reduced by half. Peel the gelled soup and chop it finely. Chopping it all up! 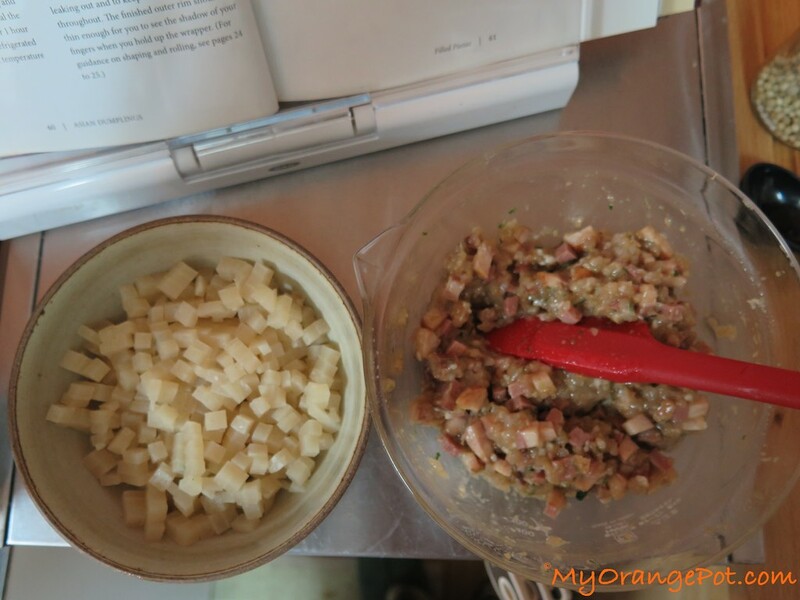 It can be chopped finer, actually the finer it is the better it will mix with the other filling ingredients. 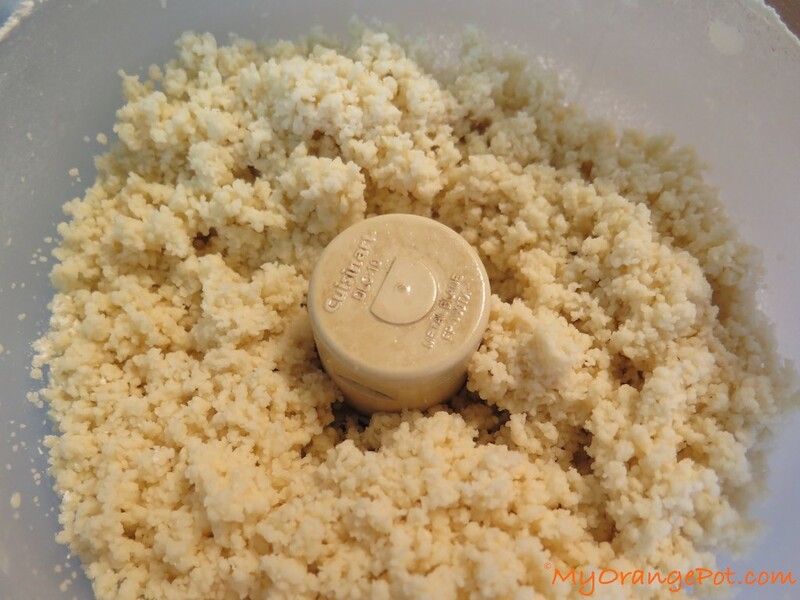 Combine the two flours in the food processor bowl. 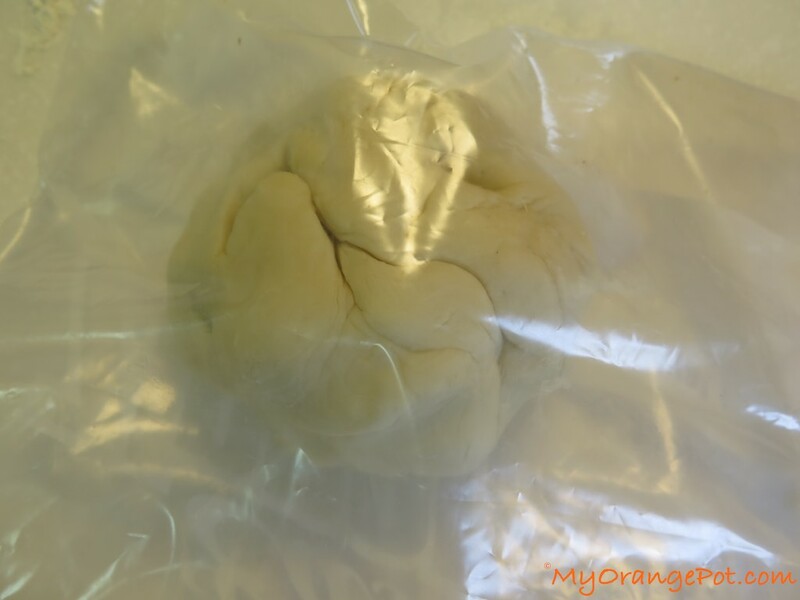 Remove the dough from the bag; the dough will be sticky. 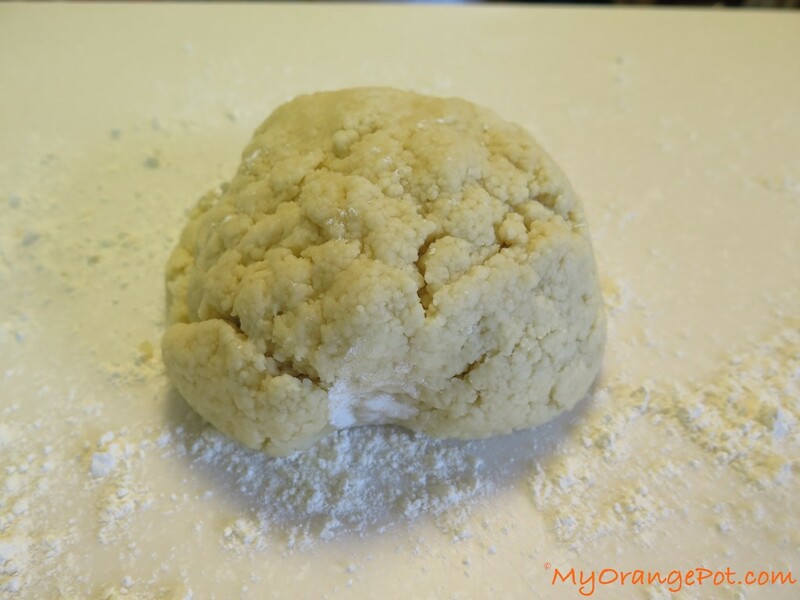 On a lightly floured surface gently shape the dough into a ball. 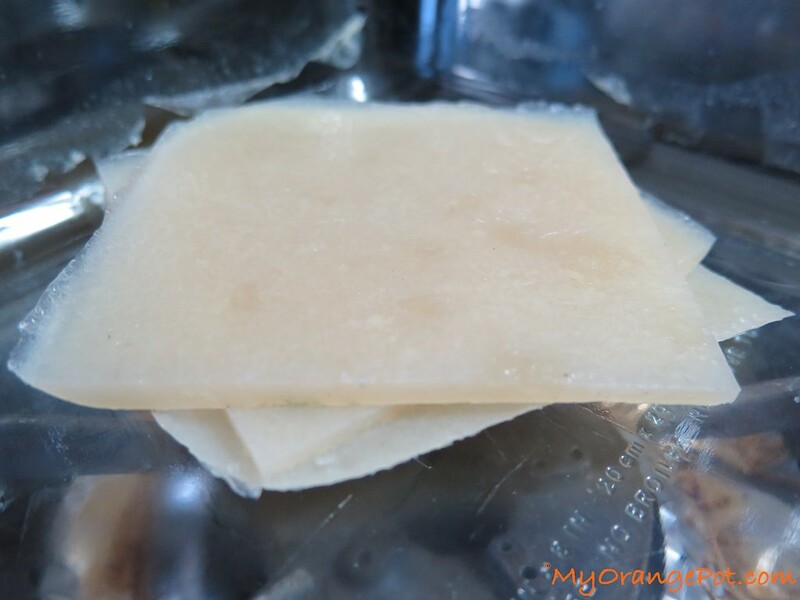 Cut in half and replace one half back in the plastic bag, seal well. 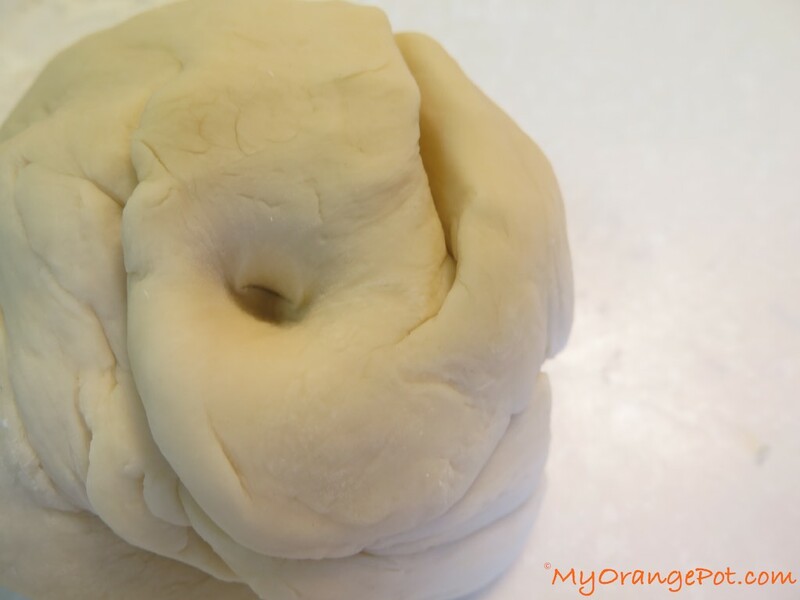 Continue the process to the remaining dough in series of 8. 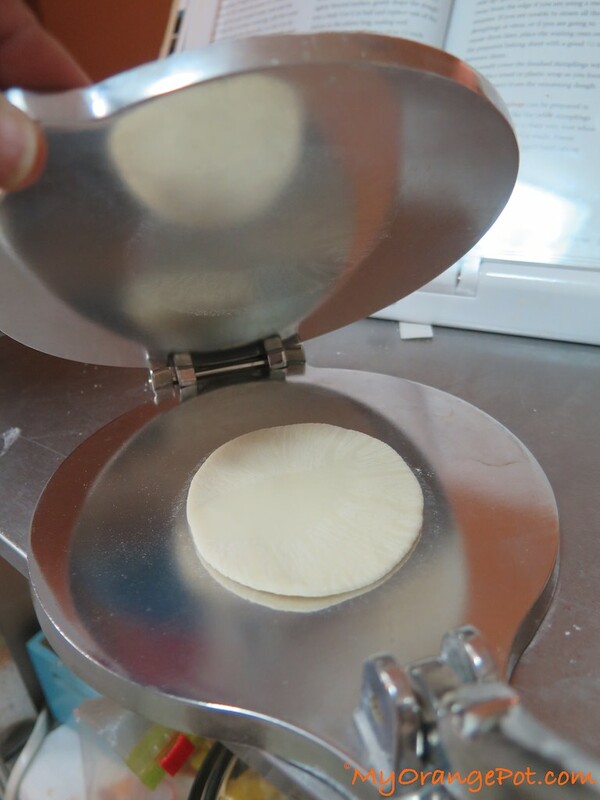 **Note: This process is quickly done with a tortilla press to start and then roll out with a small wooden pin (I got mine from 100-yen shop), but you can certainly make do without the tortilla press. 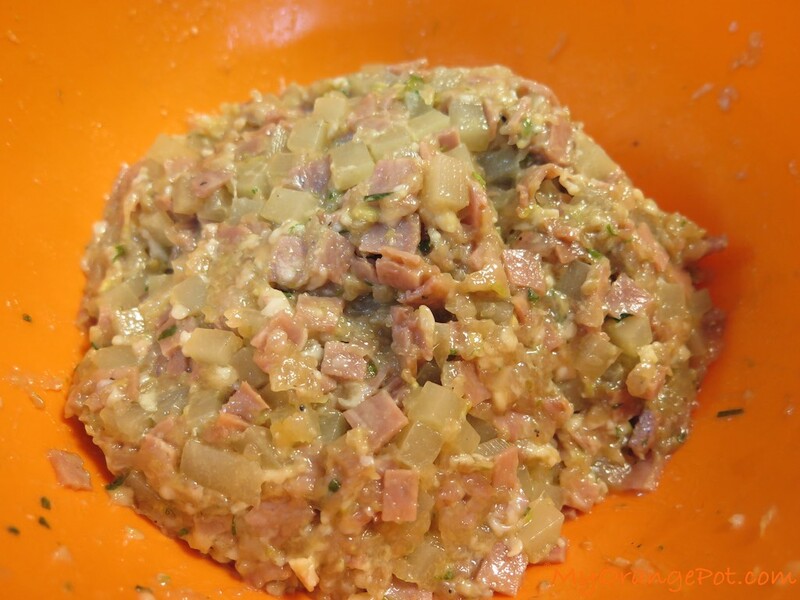 250 grams ground chicken or smoked duck that has been diced finely or a combination between the two. 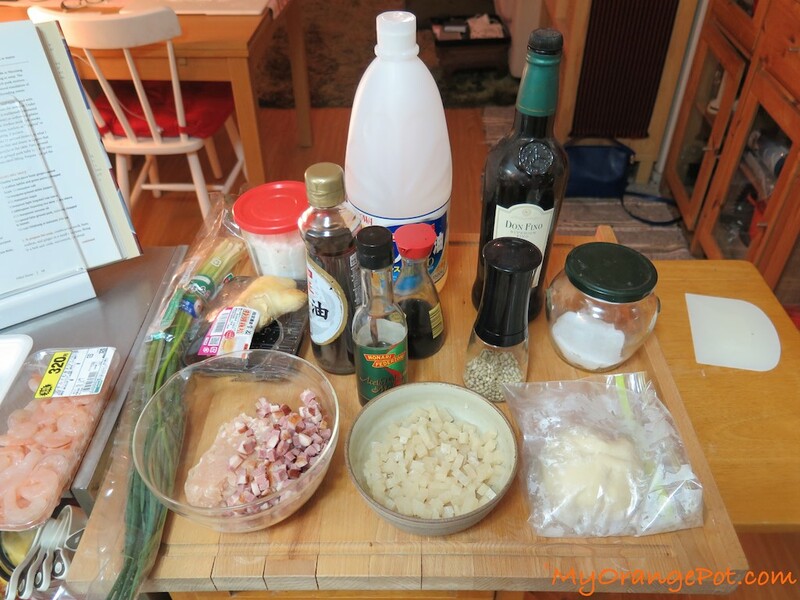 If you ground the chicken yourself include the skin, all recipes always recommend the meat to be the fatty kind. In a mini chopper put the sliced ginger (A), scallion, salt, white pepper, sugar, soy sauce, rice wine/dry sherry (if using) and sesame oil. 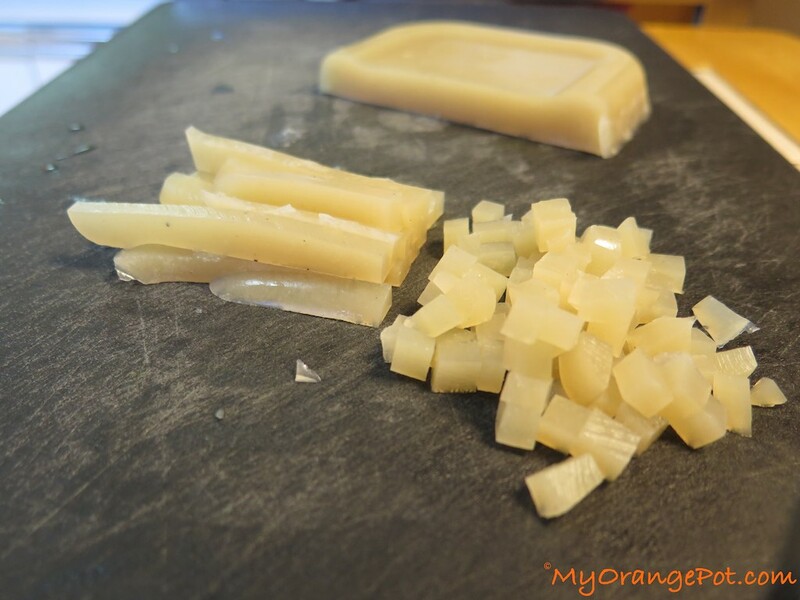 Process until creamy and fragrant. Transfer to a bowl. Add the chicken/duck and use a wooden spoon or spatula to combine. Add the chopped gelled soup and continue mixing until well blended and firm. Ingredients for the filling and sauce line up! Before assembling the dumplings, line steamer basket with steaming cloth/or you could also use cabbage leaves or parchment paper. Also prepare a baking sheet lined with parchment paper. Assembled and ready to steam! 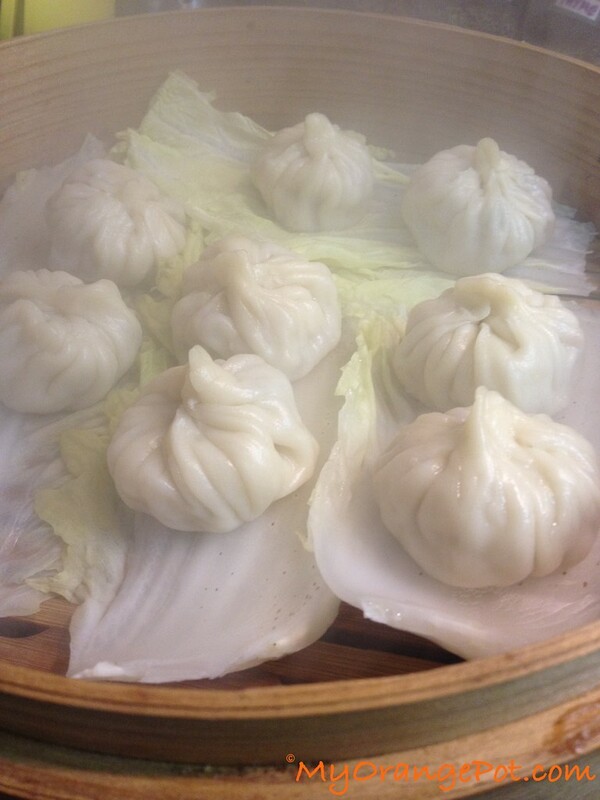 Plump dumpling, steamed and ready to go! 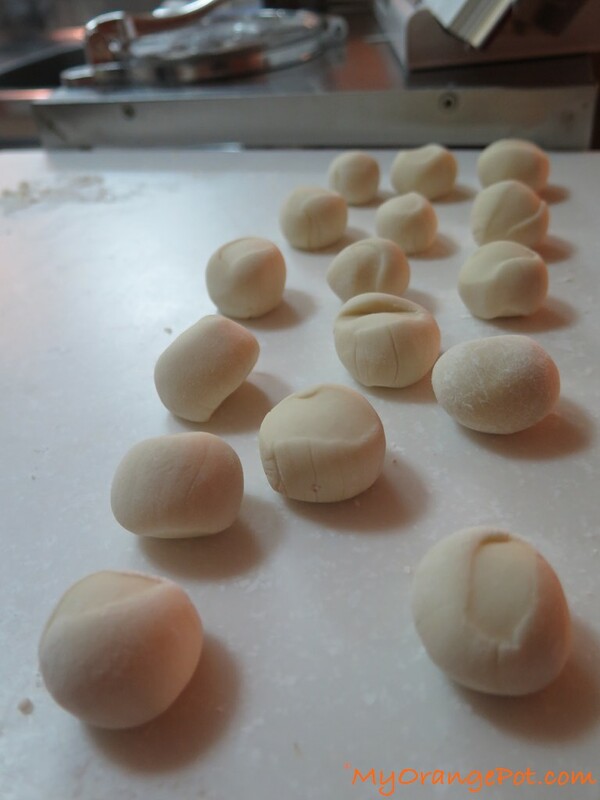 To cook the dumplings, steam them over boiling water for 6-8 minutes. The dumplings should have puffed up and become somewhat translucent. 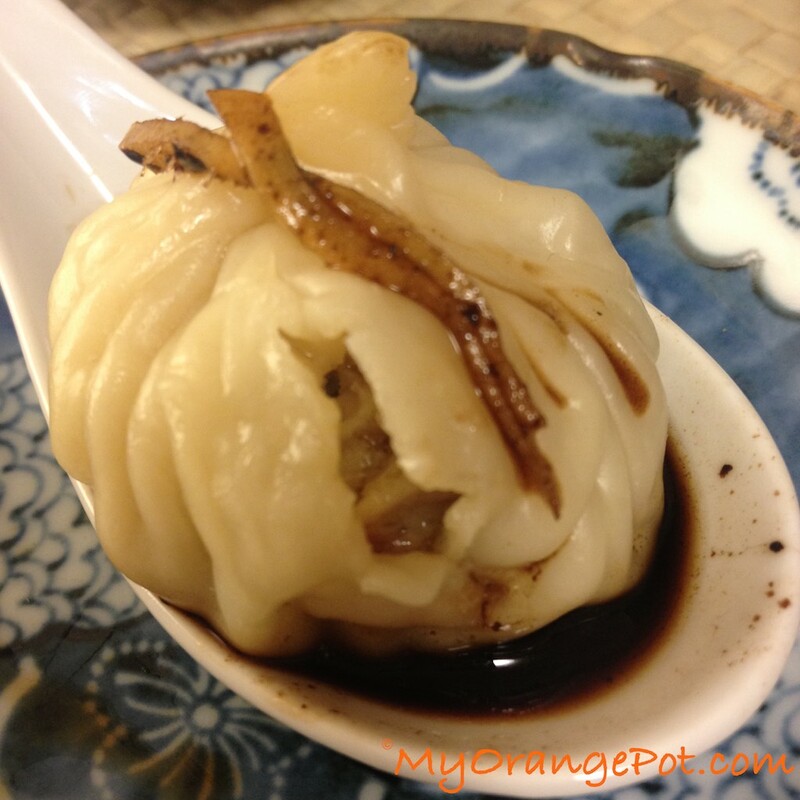 Remove dumplings from steaming basket (or if you use small steamer tray, you can put it on a serving plate). Serve the dumplings immediately with the sauce. 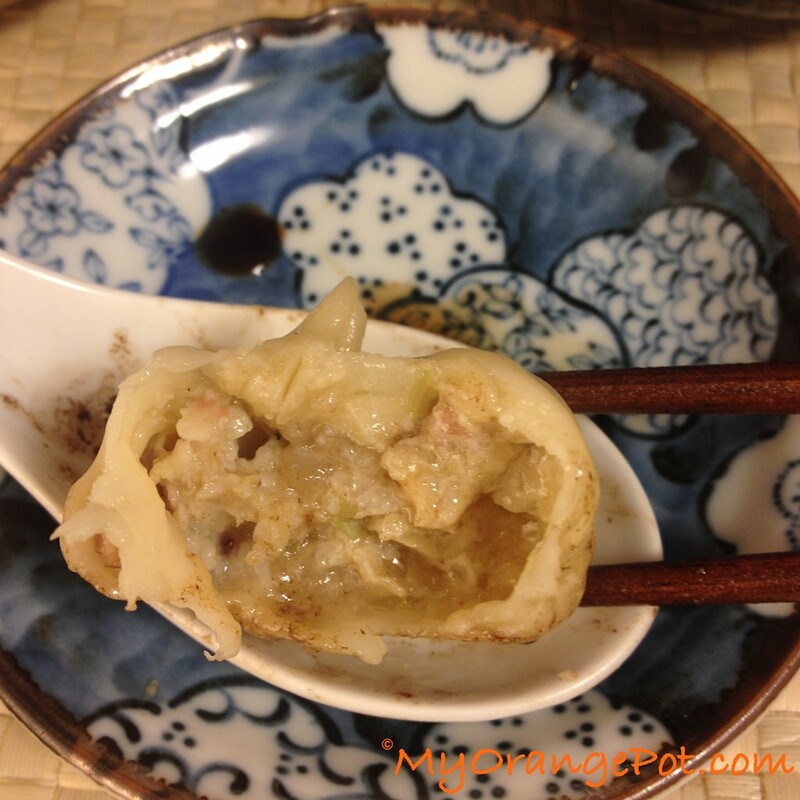 To eat, pick up a dumpling with chopsticks and place it in a soupspoon. Either bite or poke a small hole at the top with a chopstick. Carefully slurp out the hot soup inside of pour it into the spoon and sip it from there. 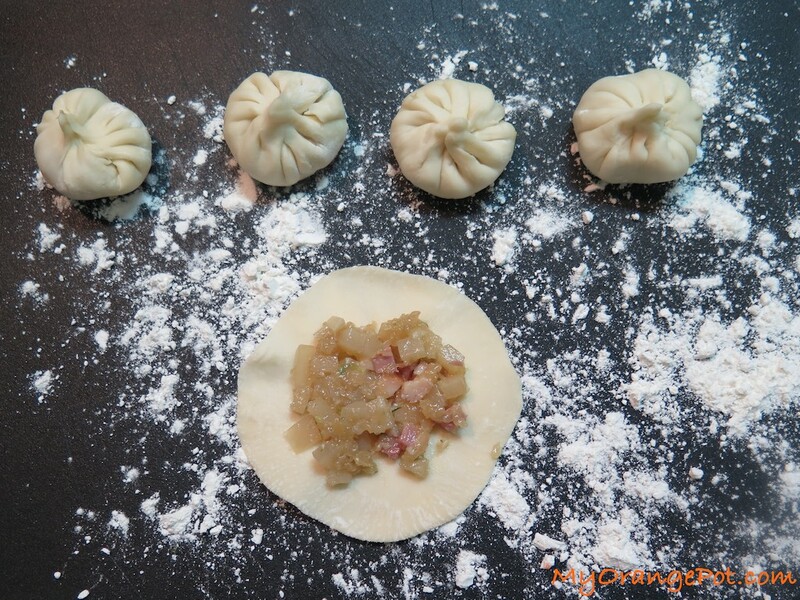 Finish off the dumpling by eating it straight or dunking it in the dipping sauce or spoon a bit of sauce onto the dumpling or into the hole. ENJOY! Bon Appetit! Zhù nín hǎo wèikǒu!